Last year saw the group issue both a debut LP (Room of Monsters) and EP (Gin Tapes), in addition to a national tour with renown synthpoppers Poliça. 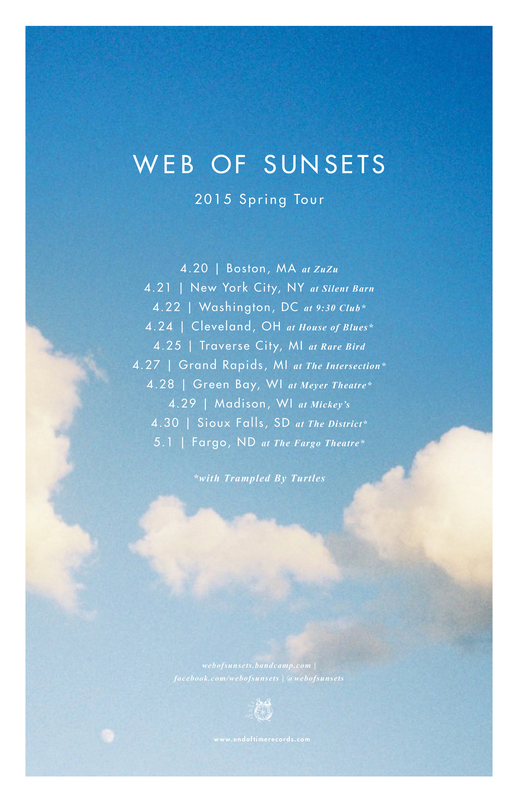 On Monday 4/20, Web of Sunsets will kick off a tour in Boston at ZuZu, followed by numerous dates with MN mainstays Trampled By Turtles — including sold out shows in Washington DC, Fargo, and Minneapolis. All upcoming tour details can be found below, or on the tour page. Tags: acid country, impose, old blackberry way, premiere, Steel New Days, Tape, web of sunsets. Bookmark the permalink.